Two Warrandyte High School students gained a rare insight into the video games industry when they attended a game design workshop at ACMI recently. Molly Wilkins and Tim Willis joined eight other Victorians at the five-day workshop during the July school holidays. They said they enjoyed working with other students and game makers to create a computer game for an iPhone platform. “The people who were running it treated us as equals and as though we were industry professionals. 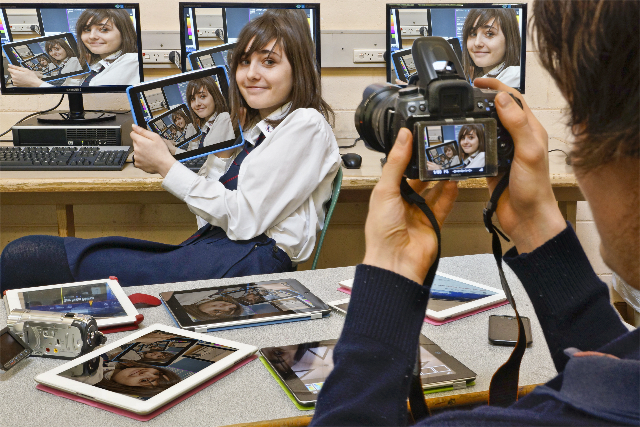 They were helping us one-on-one which was really helpful and made is a lot easier to learn,” Year 11 student Molly said. Hundreds of applicants were asked to send in a story idea, ideas for artwork, characters and a plot. They also created a two-minute video explaining why they like video games and why they wanted a place in the workshop. “To be accepted they had to do a film pitch of an idea of a game,” teacher Claire Bloom told the Diary.